Providing university constituents with high-quality professional services. UNLV Planning and Construction is a service-oriented department responsible for the planning, design, construction and project related furniture, fixture and equipment (FF&E) integration functions for UNLV’s facilities and campuses. Our mission is to provide university constituents with high-quality professional services in the management and delivery of projects related to the campus and its buildings that meet defined scope, quality, schedule, and budget objectives. Supports UNLV’s Top Tier goals and efforts. Fosters the university’s academic, research, athletics and campus life mission. Provides facilities that enhance collaboration, innovation, efficiency, and effectiveness for their users. Supports the endeavors and development of students, faculty, staff, and the overall quality of life in the State of Nevada. Provides for interaction, collaboration, and support of the local community. Creates a high-quality physical campus identity and character that are unique to UNLV. 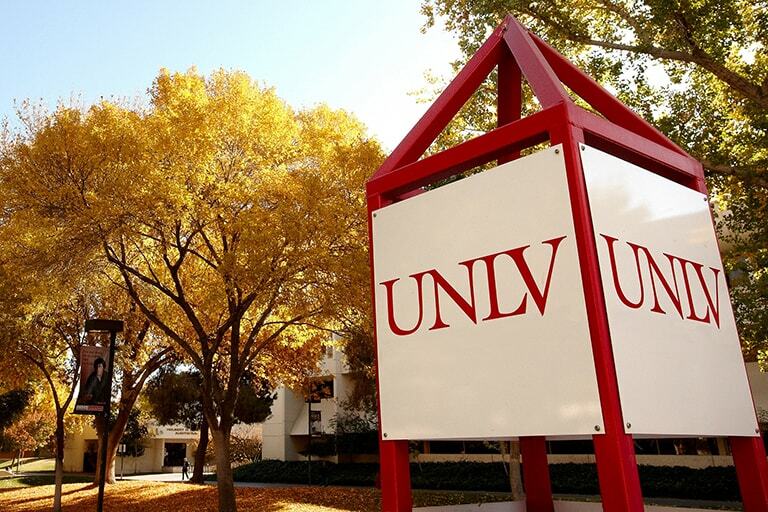 UNLV Planning and Construction approaches our work with care and respect for our users and their needs, applying a perspective to our efforts that considers the overall benefit of projects and initiatives to UNLV and the broader Nevada community. We employ leadership, team work, collaboration, and creative problem-solving in seeking solutions, and we conduct ourselves with integrity in delivering quality customer service. University Gateway is the first of one of many projects that could transform UNLV's main thoroughfare over the coming years. University Center Drive would serve as a gateway to UNLV from the north of airport tunnel to Desert Inn Road.